DeConcini McDonald Yetwin & Lacy, P.C. is proud to announce attorney Jody Corrales has been selected as a Rising Star in the 2015 Southwest Super Lawyers publication. Corrales has been selected as a Rising Star for the past three consecutive years. Her legal focus is Bankruptcy Law and Creditors’ Rights, as well as General Civil Litigation. 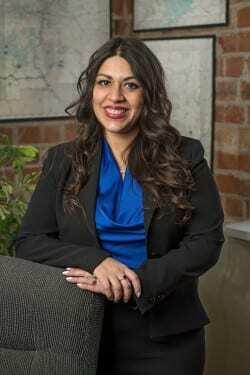 Jody Corrales is a 2006 graduate of the University of Arizona James E. Rogers College of Law. Super Lawyers® is a listing of lawyers from more than 70 practice areas who have attained a high degree of peer recognition and professional achievement. The selection process is multi-phased and includes independent research and peer nominations. Attorneys selected as “Rising Stars” must be either 40 years old or younger or in practice for 10 years or less. The Law Office of DeConcini McDonald & Yetwin congratulates Jody Corrales on this well deserved recognition, and congratulates all the “Rising Stars” for this professional achievement.